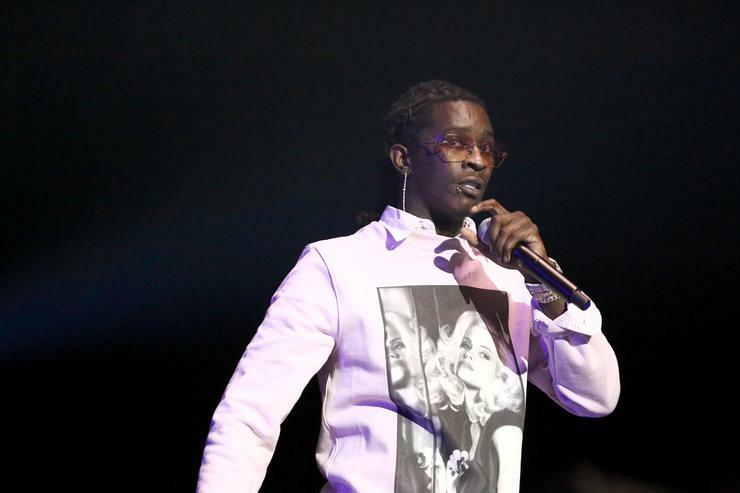 It’s unclear if he’s referring to an advance single to arrive prior to the album, the album itself, or something else entirely, but it’s clear that Thug is considerably excited about what he has up next. Historically, Thug hasn’t always stuck to the release dates he’s teased on social media. Beautiful Thugger Girls suffered quite a few delays after multiple promises. If all goes according to plan, Slime Language will arrive on schedule next Sunday, but if not, it seems Thug has something ready for fans in the near future either way. Last week, Thug shared the Twin Peaks-esque video for his track “Up” with Lil Uzi Vert. His last project was April’s 3-track project Hear No Evil, which featured the aforementioned collaboration with Uzi, as well as tracks with Nicki Minaj and 21 Savage.